Hope Center is founded by Dr. Debby Pyng Jou with the the concept of A Loving Heart & Helping Hands. We organize various community events and activities that help build a community of friendship and harmony between people. Hope Center provides food and medical assistance directly to those in need, including organizing Care Fair, a community event aimed to providing free medical services onsite and encouraging the community to live a healthy and active lifestyle. 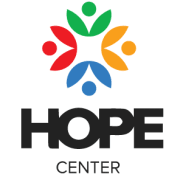 Would you recommend HOPE CENTER?